A chimney in Woodford sealed and being swept. After the sweep we carry out a smoke draw test and issue a certificate of sweeping for your home insurance. 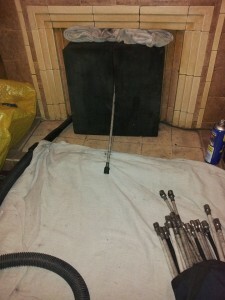 It’s important to have your chimney swept every year as it will improve efficiency & reduce the chance of chimney fires. Keep your home safe. We also fit birdguards and carry out servicing for your logburning stoves. 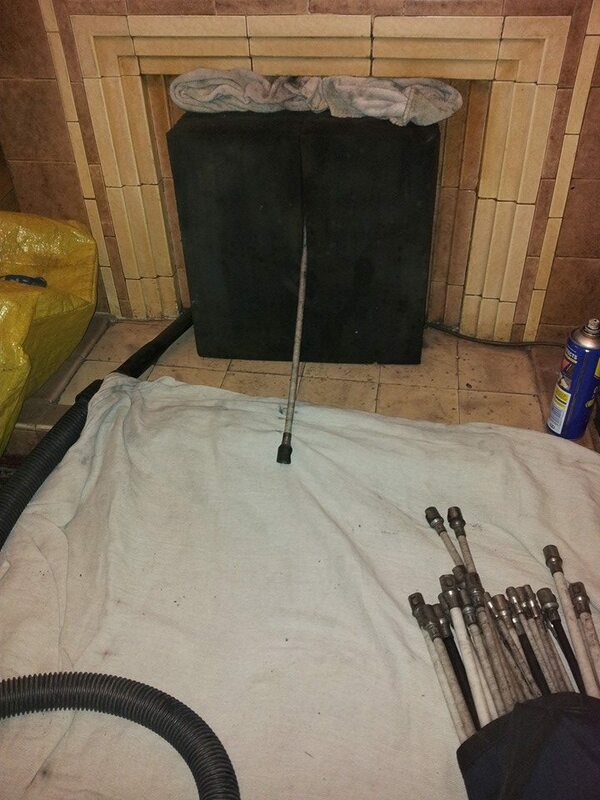 The picture above shows a fireplace in Woodford sealed and being swept.